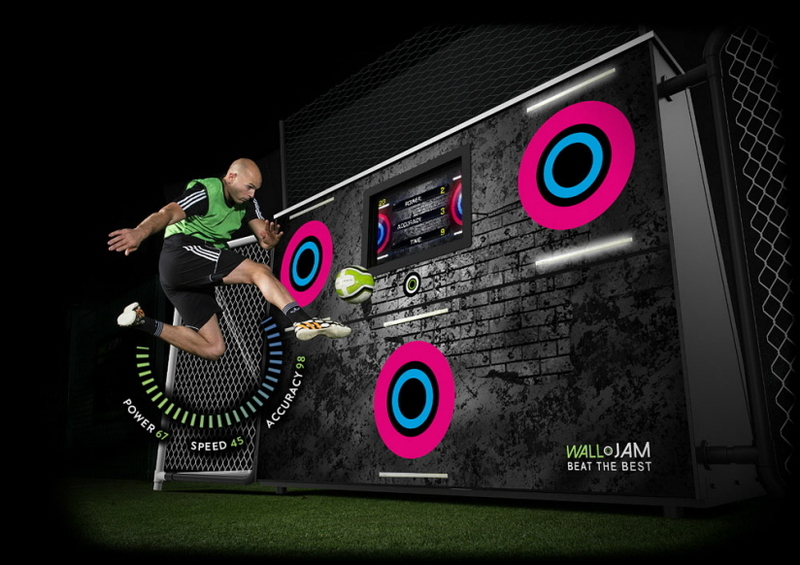 Walljam is an integral training wall offering ball rebound and smart technology to enhance individual and group performance whilst also improving fitness and technique whatever the level of the player. Walljam, acts as a coach, competitor and team mate whilst revolutionising play through repackaging the way sport is taken up and delivered. It is specifically designed to improve a player’s game whilst benchmarking their performance and development. Walljam can also connect players with others through its online leagues and it keeps track of a player’s scores based on power, accuracy of ball strike and overall performance thereby allowing a payer to set their own Personal Bests and climbing the league table in any given discipline. A variety of games will allow users to upload performance data based on their timed results, be that as an individual or group play. The captured data focuses on accuracy and power of a ball strike, alongside the time it takes to strike a target. The latter is clearly influenced by the speed of a player’s touch, control and movement as well as their ability to strike a target from a distance. An integrated stopwatch allows the results to be benchmarked, whilst LED lighting highlights which target to hit. These are colour coded and flash green when struck. Impact pressure sensors define accuracy and power. The wall comes with on-board comms and can be operated via any smart device with the Walljam app through the inbuilt 17inch touchscreen interface.